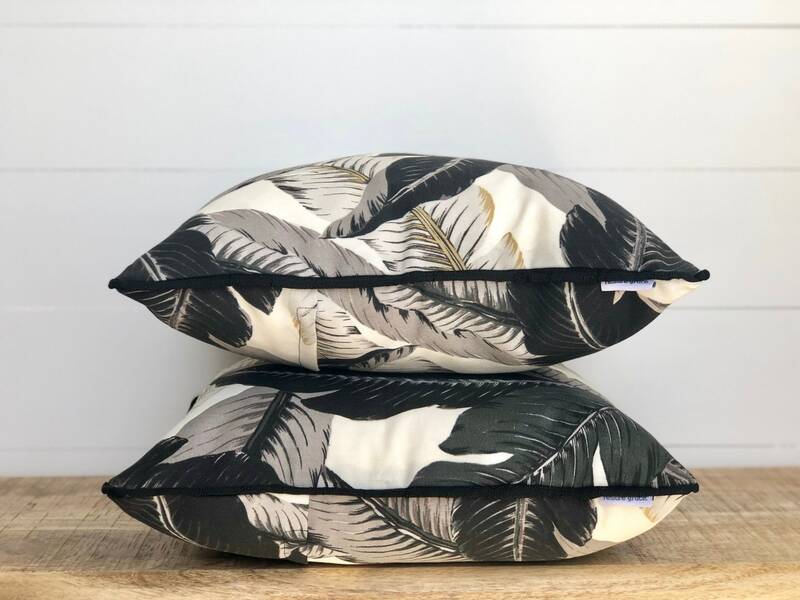 A classic Tommy Bahama swaying palms print in these outdoor cushions that just never goes out of style! 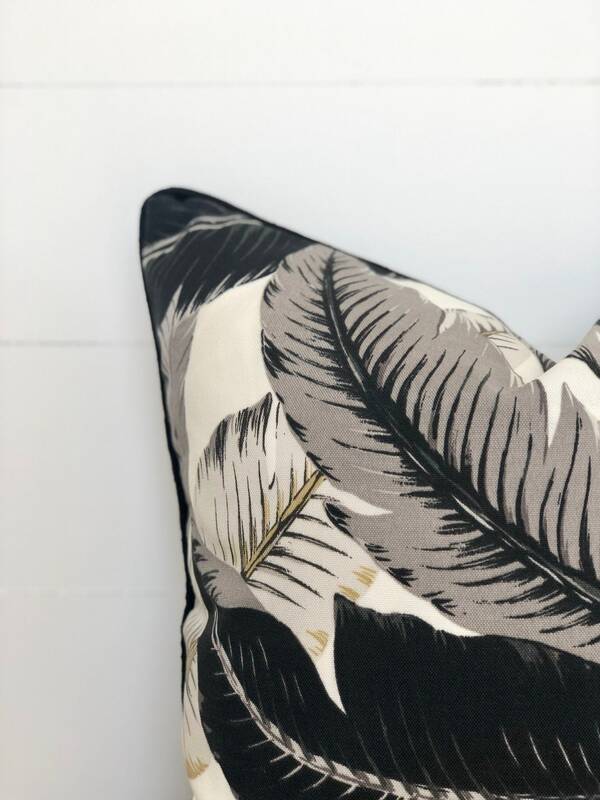 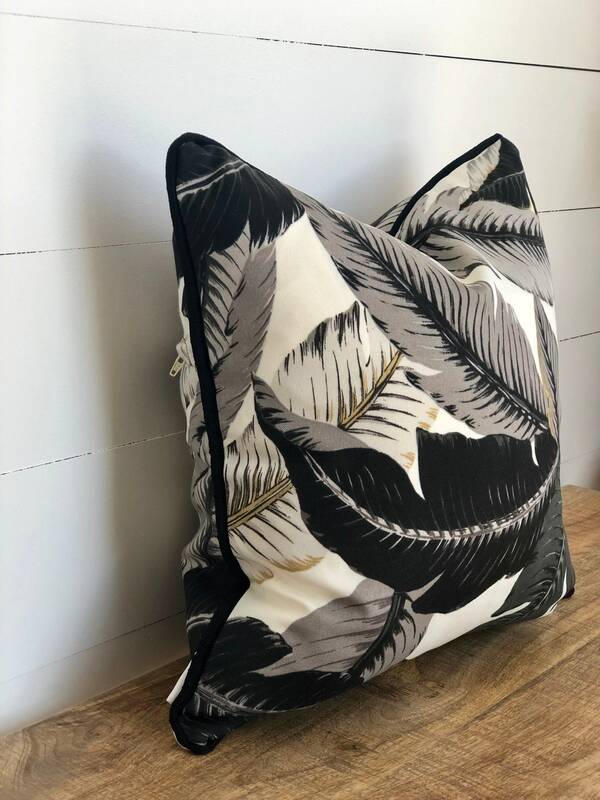 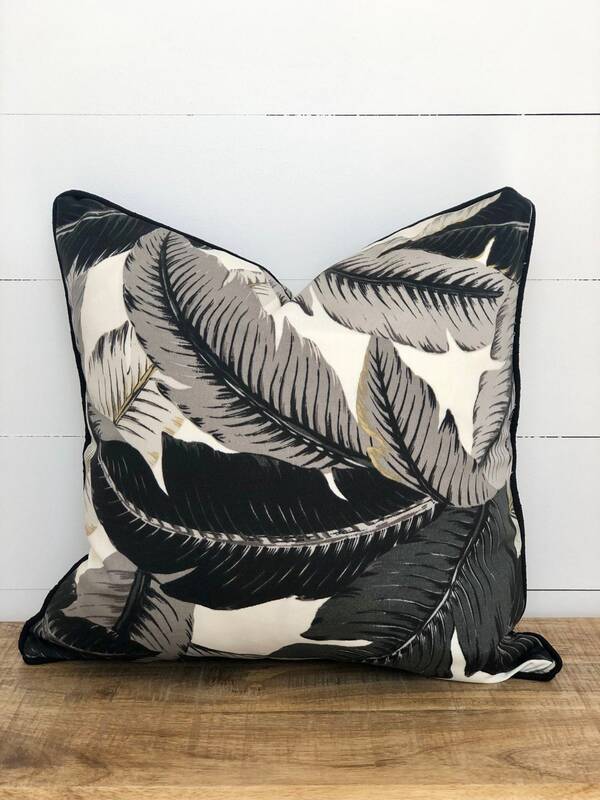 Framed with a bold black piping these cushions are striking, tropical and that touch of class and sophistication you have been looking for in your outdoor patio or deck! 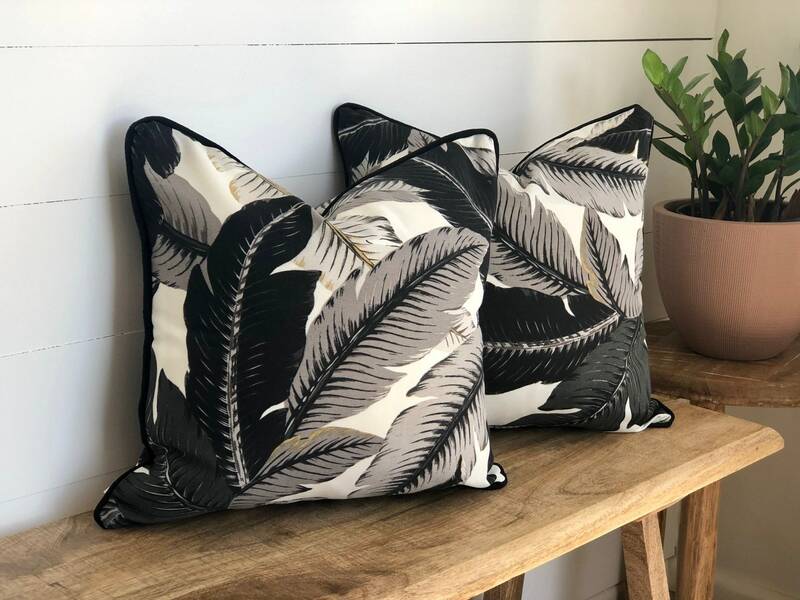 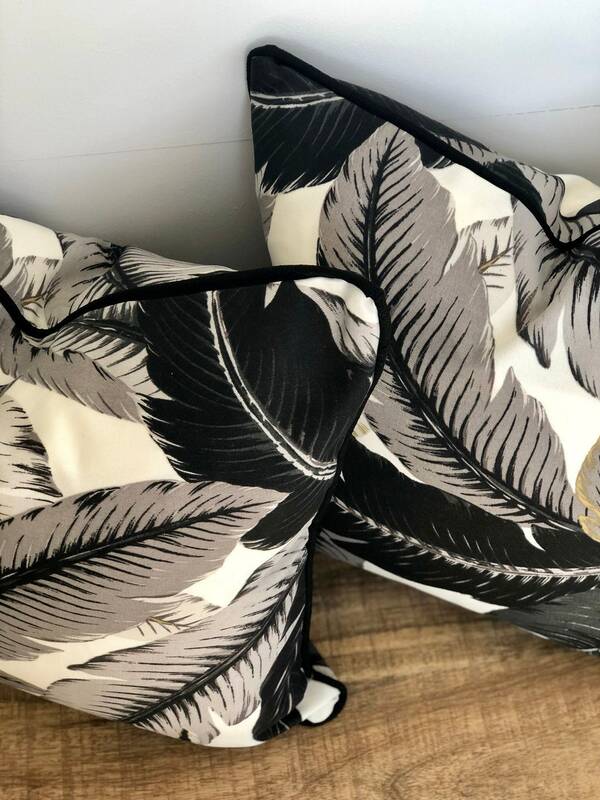 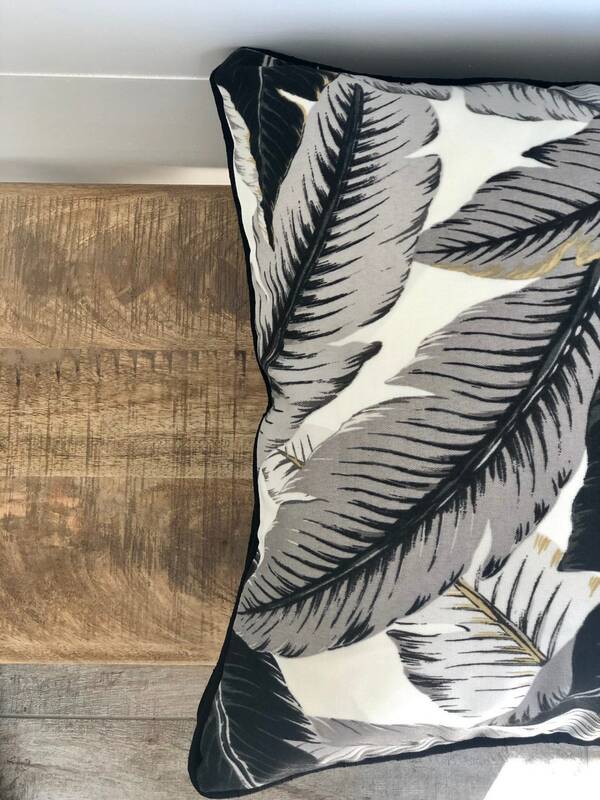 Pair these cushions with block blacks or block greens for the palms to stand out or pair with more tropical print to enhance that summer vibe! 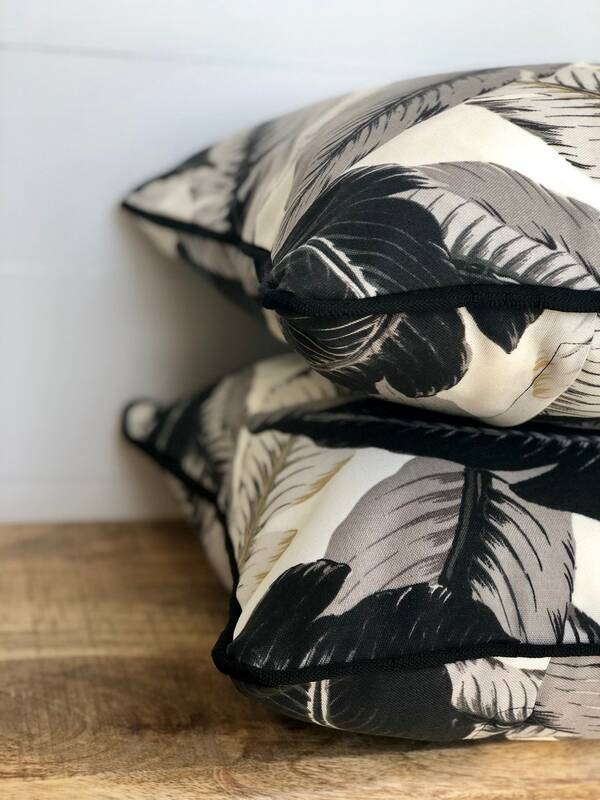 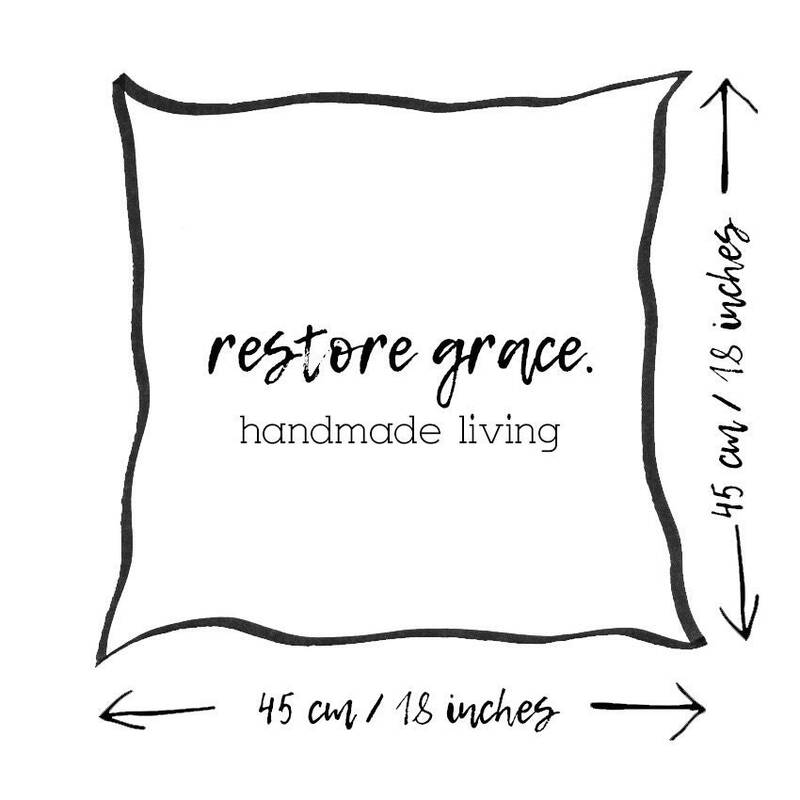 Although some of our gorgeous cushion fabrics are made by Designers, such as this fabric by Tommy Bahama, all of our cushions are HANDMADE by restore grace.